← There Are No Rules!!! Today is one of those holidays us California government employees get that nobody else does. Cesar Chavez Day, to honor a man who was the Martin Luther King, Jr., for migrant farmworkers. 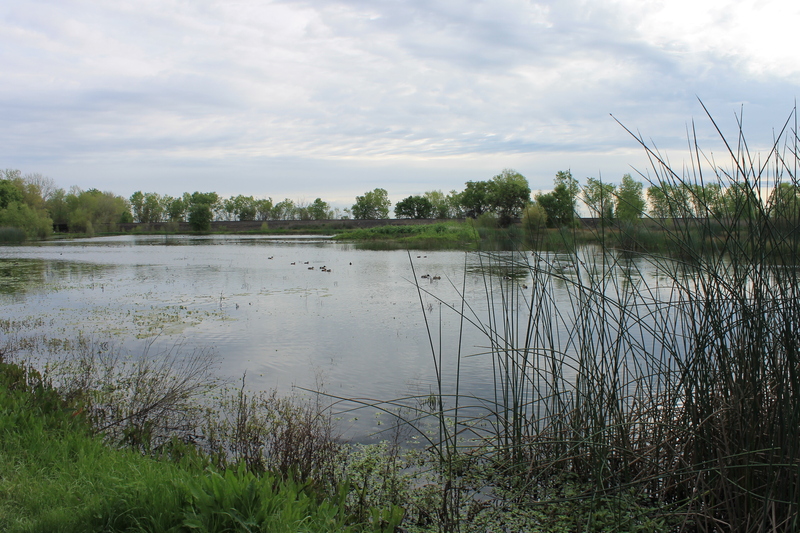 So, I started the day off with a short drive to the Cosumnes River Preserve. 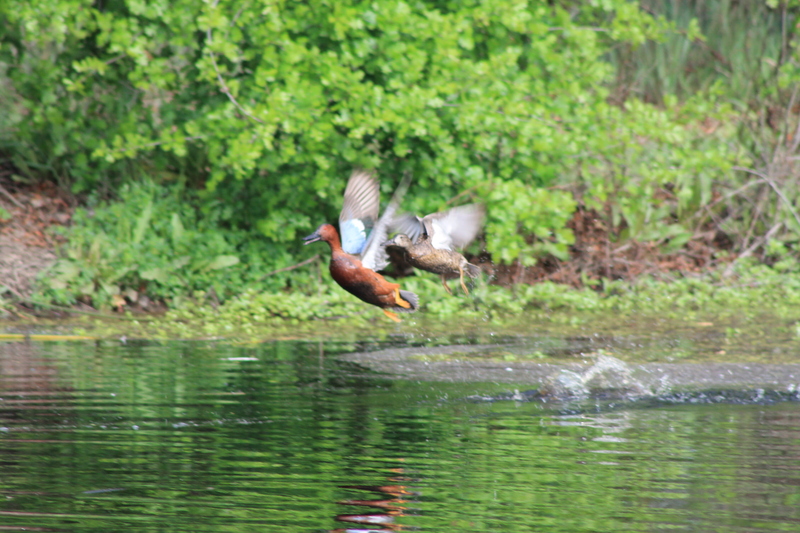 More than 50,000 acres of sloughs, rivers, creeks, bogs, trees, and wildlife, with trails winding through it all. It’s a nice piece of nature so close to home. There are ducks. Lots of ducks. The preserve is divided by a two lane country road. I spent an hour on the east side and realized that I was missing something there. 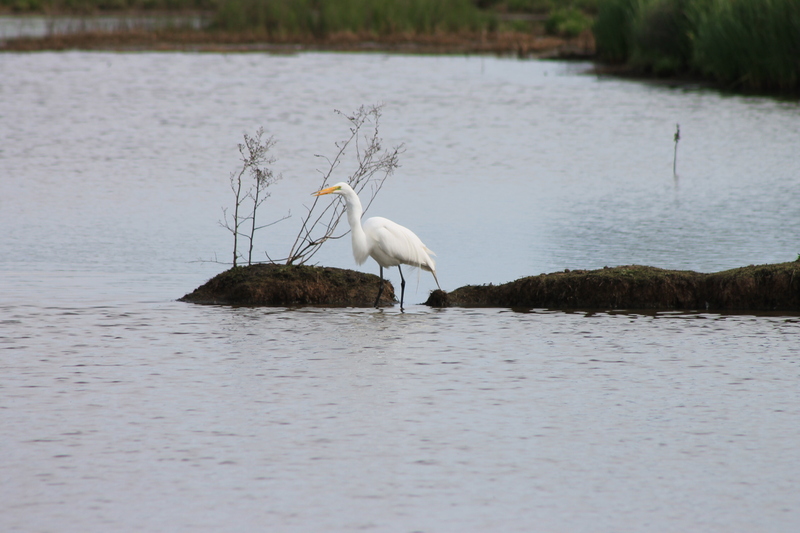 There are lots of times when I drive around the countryside that I see white herons (aka great egrets). Something attracts me about them. They don’t wander the world in flocks. Or at least don’t appear to. It seems whenever I see one, that is all that I see. 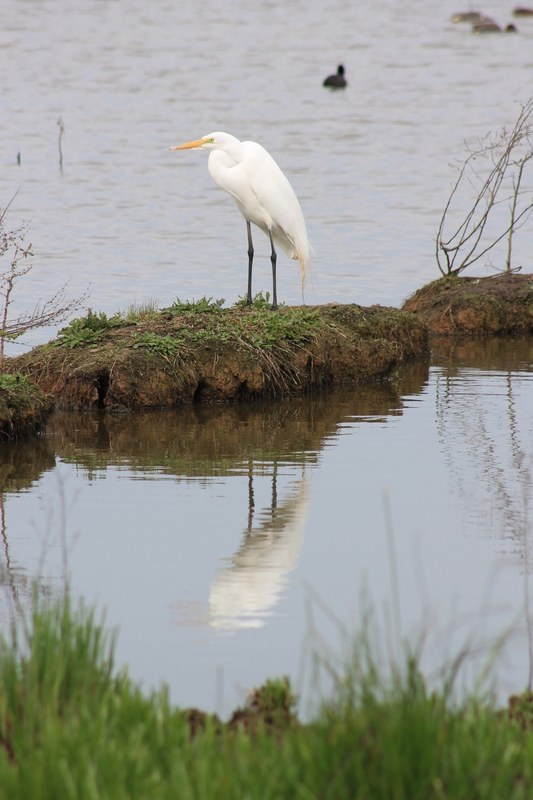 A lone bird in a meadow or along the edge of a river or creek. I didn’t see any on the east side. 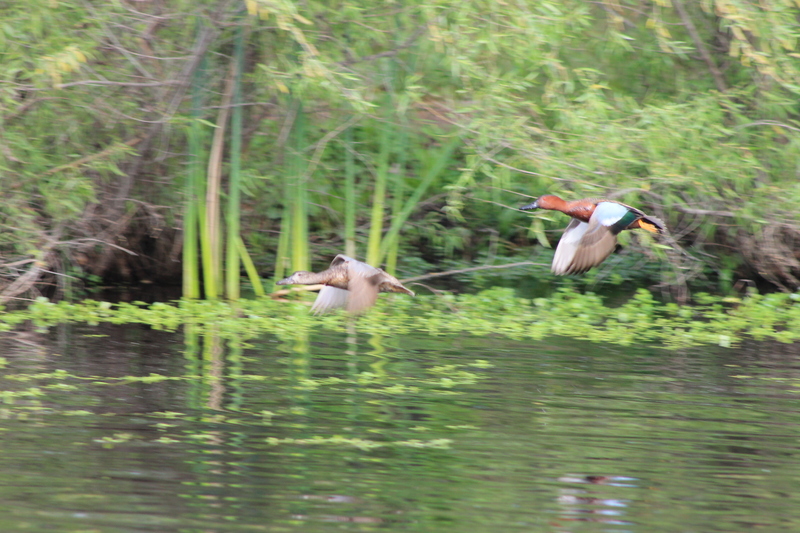 I wandered over to the west side, where there were many more large pools of water filtering through the sloughs. Lots more ducks. And, then I saw him. I spent some time watching him. Guess what he’s doing there? Unfortunately, I didn’t get a picture of the capture, but I did get a picture of the aftermath. 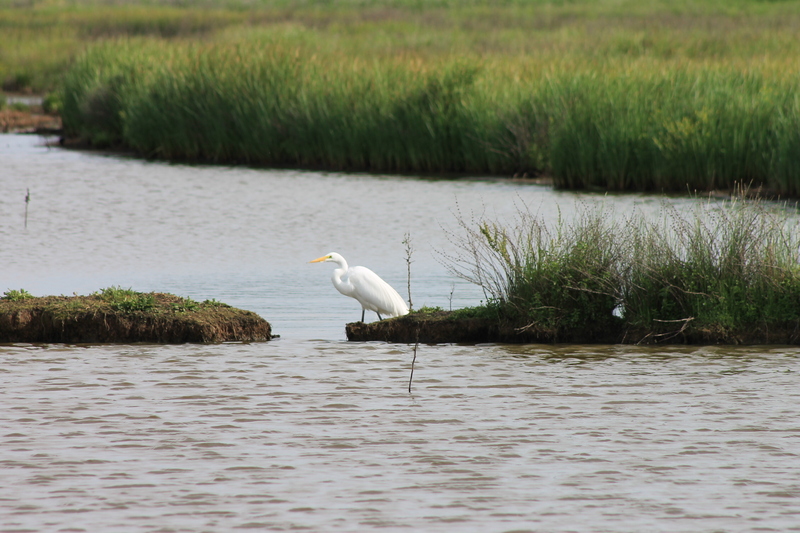 Yep, the white heron was hunting a mouse. And here’s his smug look after he swallowed it. Whole. What you ask has this to do with an omen. Over two and a half years ago, a fellow writer had the following to say about what he had done that morning , “Spent the morning staring at the water on Mobile Bay and watching a Blue Heron fishing.” There was something about that image that lit something in me, a story about an old man living alone on the edge of bay, more happy with the company of a whooping crane than with the people who insist on crowding him, more happy being alone than being reminded of the wounds of his past. The Irrepairable Past is what developed from the idea. It’s half way done, but I haven’t touched it since last summer. A couple of weeks ago I finished Northville Five & Dime. I was already to move back to The Irrepairable Past, a story where a whooping crane plays a small but critical role. I looked out over the bay, calm now in advance of the evening’s approach. The sun burned at the horizon’s edge, an eerie half ball of fire sending ribbons of orange turning to red and purple through the cotton ball clouds dotting the sky above the water. 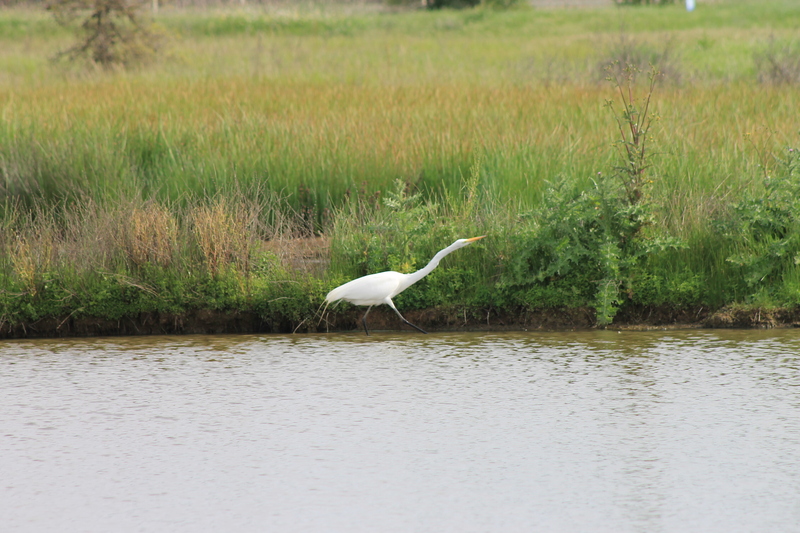 Near the shore, a whooping crane herked and jerked as it sought its nightcap in the shallows. Bob, as I’ve come to call the crane, and I have an understanding. With the sun that rises and sets, and the breeze that comes in off the lake and the sound of the whippoorwills that announce the coming of night, Bob honors me with his presence. I have yet to figure out what I provide him in return. Then beta readers started reading Northville and I got the idea that maybe there was more story to tell there. As a result, for the past 2+ weeks I’ve been paralyzed, torn by what to do. More Northville or a return to the shores of Sullivan Bay, where Bob awaits. 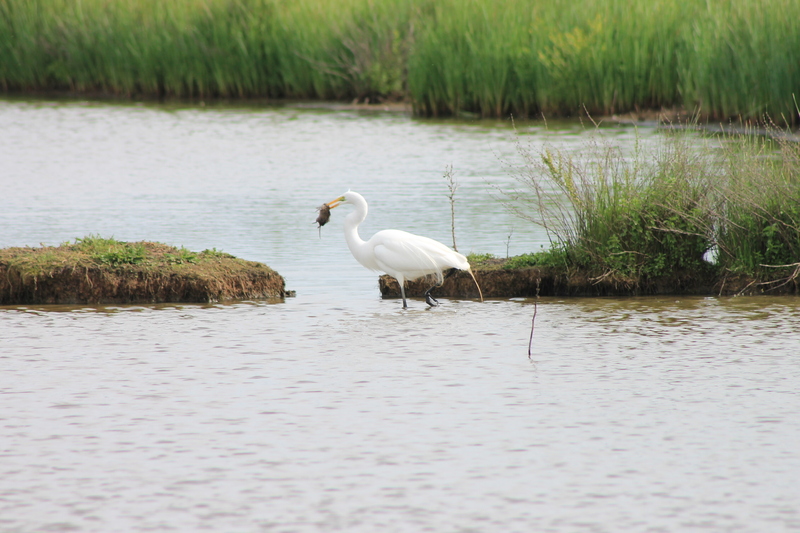 I’m choosing to look at this morning’s trip and the presence of the White Heron (yes, I know it’s not a whooping crane, but what I saw this morning was almost exactly what is in my mind’s eye when I imagine Bob herking and jerking in the shallows of Sullivan Bay) as an omen. The rest of the story in Northville will have to wait. It’s time to head back to Sullivan Bay. Henry Thornton’s tale needs to be told. 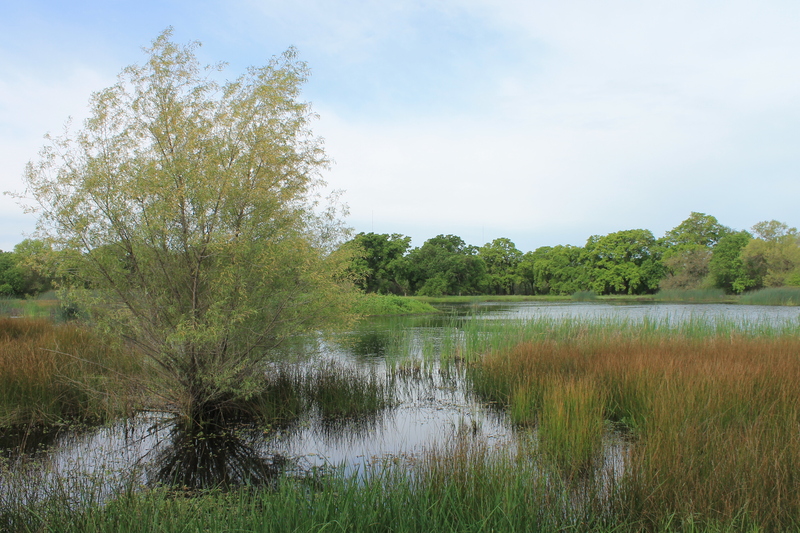 This entry was posted in Uncategorized and tagged Choices, Cosumnes River Preserve, The Irrepairable Past, White Heron, Writing. Bookmark the permalink. “as it sought its nightcap in the shallows”—Love that. Thank you. One of the things I’m doing with The Irrepairable Past is try to write it more poetically than what I usually write. Which, of course, means that it just takes that much more time and is all the more difficult. I thought ‘Weed Therapy’ had beautiful poetic prose. The passages spent in the cabin with the priest still come to my mind. The first night with Father Santos, when he makes the tea and putters around and they begin to talk, will always be my favorite scene of any I’ve written. Why? Because it was the first time I think I truly captured the “it” that we all strive for. And what I’m most proud of with Weed Therapy is that I managed to maintain a lot of that flow and rhythm through the entire story. If I get my way, The Irrepairable Past will be light years better in that regard. It’s probably one of the reasons I took a break from it last summer. The first three parts, totalling about 25,000 words are there. But, I wasn’t feeling it with part four. Time to get back to it. Thanks, as always, for your kind words about my writing. There is something spiritual about nature touching a writer’s soul. Go with it. somebody with the name sknicholas just started following one of my blogs. He definitely does not look like you, but every time I see the name, I have to do a double take. I hope he is a nice person. I would hate to get a reputation I didn’t earn. Is he a writer? No idea. Haven’t checked him out yet. This is going to sound weird, but I’ve seen hints and snippets of Northville and I see these pictures and your passion for your story of the old man at the lake, and I wonder: could they be part of the same story? Nope. Completely unrelated. Except that they are both stories that are very difficult to write because of what I’m trying to do with them. Some of the most challenging, interesting books I’ve read take two completely unrelated storylines and find a way to twirl them together. Just my idea, and obviously spoken without that much knowledge of the storylines. Well, now you’ve got me figuring out if there is a way to connect the two. As if things weren’t already hard enough!!! Who knows maybe The Irrepairable Past could be the final book in the series that kicks off with Northville. Ugh. Sorry my friend. It was a random thought. I think one of the great challenges in writing is connecting two disparate stories. I’ve done that before, or tried. Been working on two different pieces and then merged them, until they’re one. Sometimes it works and it’s like a surprise, wondering why I didn’t see it in the first place. Sometimes, it’s a complete mess. Either way, it’s never uninteresting.